Nicole Kidman and Hugh Bonneville star in this family comedy based on the popular children's books written by Michael Bond. A young Peruvian bear (voice of Ben Whishaw) grows up dreaming of a life in London, having been influenced by his aunt who once met an explorer from England. When an earthquake leaves his home destroyed, his aunt smuggles him onto a ship headed for the English capital. 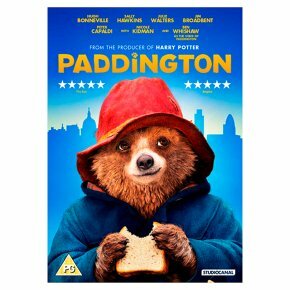 He winds up in London's Paddington Station, lost and alone, until he meets Mr Brown (Bonneville) and his family, who decide to look afterhim while he searches for his aunt's old acquaintance. However, the bear finds himself in danger when taxidermist Millicent (Kidman) attempts to get her hands on him for her museum collection. Produced by David Heyman, the film also stars Sally Hawkins, Julie Walters, Jim Broadbent and Peter Capaldi.